Discussion in 'Classic Muppets' started by Phillip, Dec 19, 2011. What is your favorite Muppet Christmas production? With the Christmas holiday now in full force, we thought it would be fun to discuss and debate your favorite Muppet Christmas productions. Let us know your thoughts and feedback on the Classic Muppet holiday productions. Gotta go with Christmas Carol. The movie, music, everything about it is awesome. How would you rank them from 1-5? I went for MFC because, let's face it, it's awesome. I watched MCC last night and I'm wondering why they don't play it on Disney or ABC Family. John Denver and The Muppets - A Christmas together...This was such a huge part of my childhood! My brother owns MFC on DVD, and my sister has been showing it to her daughter (who's 1) nonstop, along with the 2 Elmo Christmas specials. Seems like her favorite is Fozzy. It is difficult to pick my favorite because there is so much depth to Henson's storytelling. I love A Muppet Family Christmas because "everyone" is in it and seeing Jim Henson' in that wild sport coat at the end with Sprocket (AKA Brian Henson) is wonderful. I love A Muppet Christmas Carol because it is a great story retold well and dedicated to JH by his son; it is one of my favorite version of this story! 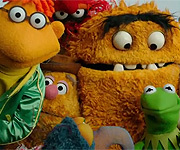 "... it's in everyone one of us to be wise ..."
MFC is far and away the best IMHO because of all the Muppet universes being in one special together. Plus, it's just funny and filled with heart. Second best is MCC, because it's everyone's tribute to Jim and Richard. A Christmas Together is more of a John Denver special with Muppets tossed in there as an afterthought. There's some great stuff in it, but it's very spotty. "12 Days of Christmas" is better than anything in Very Merry or LtS, but I have to fast-forward through too much boring nonsense. Meanwhile, Very Merry tries too hard to be "hip" and "edgy." Letters to Santa goes to the opposite extreme and is too cute and cloying. We'll have a seperate thread to discuss these later this week. This one is focusing on the Muppet Show characters. There is nothing topping Muppet Family Christmas. Trying to take out the nostalgia factor and the wow and wonder of seeing Henson's Big 3 come together... it's still a great special. I have to say, Sesame Street's specials should be considered too... because basically tied for first place for me would be Christmas Eve on Sesame Street. 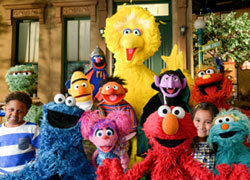 it was nice and organically like an episode of Sesame Street without the letter and number cut scenes. Then near the bottom... Elmo's World Happy Holidays. I really dig it and it actually gives Elmo SOME character... a real step up from the source material. Plus, I LOVE the novelty of something that says Happy Holidays that actually INCLUDES other holidays... then Elmo's Christmas Count Down (it had its moments) and dead last, the dreadfully 1970's A Very Special Sesame Street Christmas, featuring random 197-'s celebrities singing not Christmas songs and Michale Jackson as the very special guest star that doesn't actually sing anything. At least Oscar's subplot was kinda fun. Well, there goes next week's Weekly Poll theme. Nothing compares to Muppet Family Christmas; it's every Muppet fan's dream! A Muppet Family Christmas for me as well; as has been said before, along with the thrill of having every major character in every universe together, it's just beautifully put together, as if they were trying to make it the ultimate Muppet magnum opus of them all (and in many ways, it very much is). I love MFC, but I grew up with MCC and nothing will beat it for me. Plus MCC is really what spun me into my Muppet obsession, so, yeah, it's number one in my heart. But I love all the other specials so very much! Muppet Family Christmas is the Favorite, even if Muppet Christmas Carol is probably the better Crafted. Just wanted to say, even though I voted for Muppet Family Christmas, I'm glad the John Denver special got a little bit of love as well, it's always getting made fun of, lol.